By this time I got the message that he definitely didn't want me to have a tent and (sulkily I admit) I said OK forget it. We drove home in silence while I thought over the whole disheartening episode. 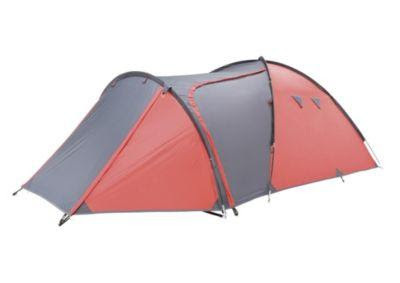 I'm 61, I don't need any ones permission to spend £20, I wanted a tent not a 60" plasma tv, not a ludicrously expensive designer handbag, not a sports car, just a cheap tent. When we got home I told him how disappointed I was and eventually that evening I went on line and reserved the tent from the shop, Mr FF is to collect it later today when he goes into town for a meeting. Maybe I won't ever use it, maybe I'll use it once and hate it but surely better to try and fail. I hope I never tread on anyone's dreams and that in future I fulfill my own without having to justify them. W.B. Yeats (1865–1939) "He Wishes For the Cloths of Heaven"
Attagirl! Enjoy sleeping under the stars. Oh I'm so glad you didn't give in!! No, you don't need anyone's permission to spend 20 pounds!! It makes my blood boil when I see this! As you say, you weren't asking for much at all!! I could see if you were asking for the moon but you weren't. Enjoy your garden camp outs to the fullest!!! Enjoy that tent! I saw a sign advertising black kittens last week and wasn't allowed one.......... pah! Good for you - you shouldn't need permission ever!!!! Enjoy your tent! These things are the mysteries of relationships. I remember once when we were first married, LT (Mr. Cheap, I lovingly call him), gave a look of disdain when I picked up a bottle of bubble bath. Yes, of course we were young and poor. But it was just a bottle of bubble bath! I put it back on the shelf, didn't buy it, because of a look on his face...a little twitch of his lip, maybe. I was upset over it, simply because it was such a small thing I felt I was being denied. Was I not worth a little bottle of soap? Now it seems so silly...both his action and mine! That was 38 years ago. Today, I have a closet full every fragrance, liquid, cream, beauty bar, and nail color available in the US. Yeah, he was right. I didn't need it then, don't need it now. That's not the point, is it? Somehow we managed to get this far, with no plans to call it quits on the immediate horizon! He doesn't twitch his lip as much and I don't look for his approval or lack there of for simple things. I really don't know why this was a hard lesson to learn... on his part or mine! My husband has the quick march step which means that I have to catch up with him. In the first years of marriage I was taken to car boots, craft fairs etc whisked around and wonder why I hadn't managed to see much. Now I stand my ground and go at my own pace. I am glad you stuck to your guns and ordered the tent, you enjoy it. You never know this might be the start of a whole new adventure. Your Mr FF reminds me of someone I love very much......My Dad. Good on you though for sticking to ur Dream, sometimes we have to just because, we have to. Pity though i have a tent packed away in the back shed.....waiting, lol. The Yeats' poem is a great reminder to us all, to respect other's dreams and to hold our own dreams more dearly. I applaud your courage - yes, that is exactly what it takes, no matter what your age. Your post made me giggle a bit. Why do men come out with the most ridiculous things sometimes. You're not in the SAS or hiking up Snowdonia. Pitching on a ledge????? I reckon Mr FF believes that you are capable of taking off into the wild and wooly without him and felt he had to squash that idea quick! I think men get scared by the thought we might take off without them and "gasp" actually enjoy ourselves. ROFL.